The team here at Gifted Geek recently updated our guide to keeping children safe online and we thought it would be a great time to look again at the best child safety products on the market today. Below you’ll find a list of the best products designed to keep your young child safe in and around the home. We last updated this page in Autumn 2018. Every one of the child safety products listed below has been independently chosen and handpicked by the awesome folks behind Gifted Geek. These products attach by means of adhesive pads, so they are easy to fit. An adjustable plastic strap holds your cupboard closed, and can only be released by pulling a lever within one of the clips holding the strap securely in place. Due to the adhesive fitting, these can also be used to secure your kitchen appliances, such as washing machines, dishwashers and microwaves. 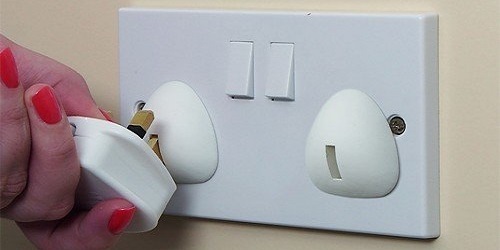 These plastic covers fit tightly into a standard 3-pin electrical socket, and prevent anything from being put in there. 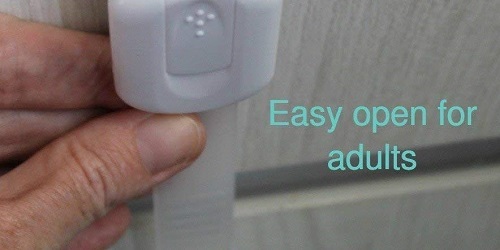 They can only be readily removed by using a 3-pin plug, which is difficult for a toddler. The covers are white, thus matching most sockets, and have a neat appearance. Before purchasing these, read fatallyflawed.org.uk and consider carefully whether you need them, as there are risks. This metal gate prevents toddlers from accessing a room or staircase, whilst remaining easy to open for an adult using a handle. It fits easily to the adjacent walls by means of pressure pads. There is an additional lock at the bottom of the gate which can either be used to secure the gate, or to prevent it from opening in a given direction. 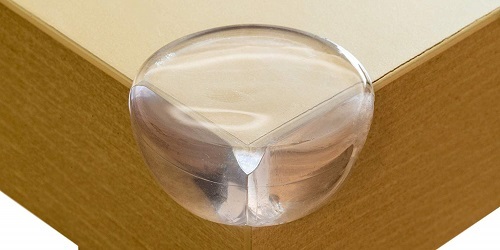 These are clear plastic protectors incorporating an adhesive strip, which allows them to be easily attached to the corners of tables, cabinets, and other pieces of hard furniture which could come into contact with a child’s head. The top surface of the protectors is round, and they are sufficiently transparent not to detract too much from the appearance of your furniture. The protectors are certified by SGS not to contain dangerous substances. 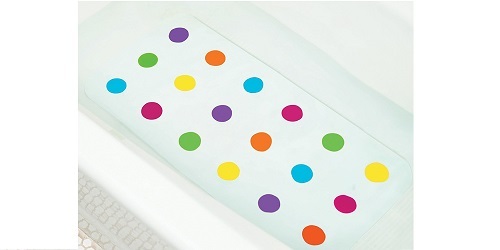 This colourful mat attaches to the base of your bath by means of suction cups. It is designed to prevent young children from slipping in the bath, and potentially sliding under the water, or banging their head on a tap. It has a design featuring multi-coloured dots, which should appeal to most toddlers, and can easily be detached and re-positioned as necessary. Children are often fascinated by TV, to the extent that they may want to grab hold of the screen. 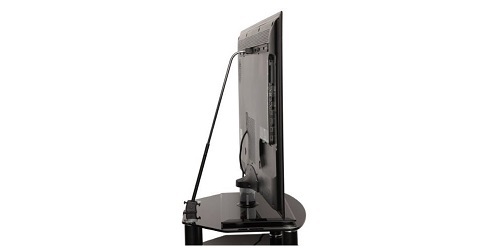 Modern TVs are very slim and easily pulled over. This clever design fits to the wall or TV stand behind the set and prevents it from being pulled forward, whilst still allowing it to swivel. It will protect your child and your wallet from the damage caused by a falling TV. This simple but potentially life-saving device prevents windows and doors from opening by more than 10cm: sufficient for ventilation, but not enough to allow an adventurous child to escape. 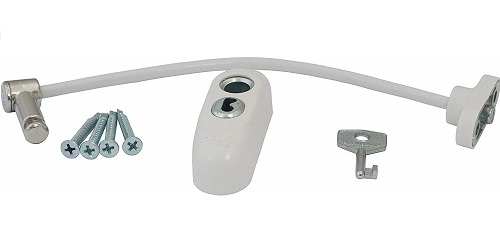 Parts are screwed to the window or door and its frame, and a cable is stretched between them and clipped into place, only being removable with a key. 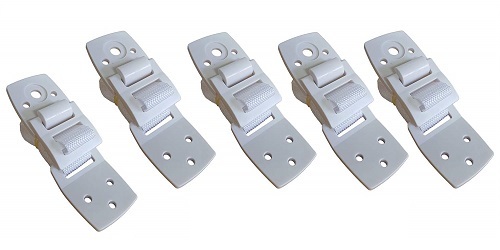 The restrictor is available in white or brown to match your windows. These are another very simple idea. They are strong fabric straps fixed to plastic brackets which can be fixed in place with screws, with one end being fixed to a wall. The straps are used to hold large and heavy pieces of furniture in position which could otherwise be inadvertently pulled over by a child. 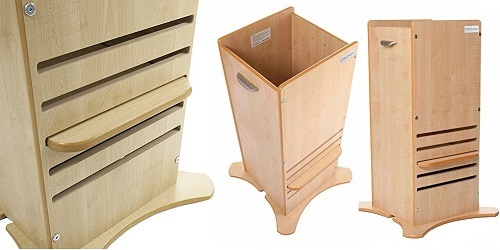 They are particularly useful for tall wardrobes, bookcases or display cabinets. These are spring-loaded locks which fit inside your cupboards, and are invisible from the outside. 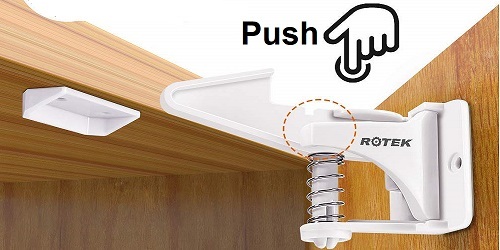 The main part fits inside the cupboard, with a plastic clip attaching to the door. When the lock is in place, it is only possible to open the cupboard by a couple of centimetres, which is just enough to enable an adult to reach inside and release the latch (something which should be beyond a toddler). This mirror’s innovative design is intended to overcome the issue that parents face when using rear-facing child seats in the back of their car. In such seats, the baby is invisible from the driver’s seat. 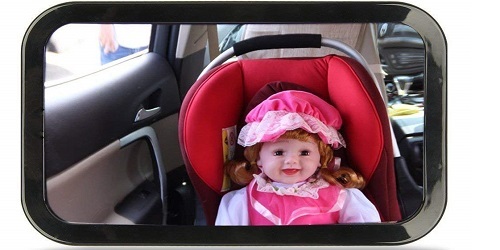 This mirror straps to a headrest in the rear of the car, and, with its wide-angle design, allows the driver to get an excellent view of the child via their rear-view mirror. 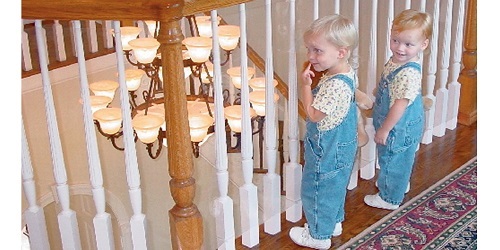 There is no doubt that a nicely-designed bannister can enhance the appearance of your stairway and landing, but it also gives scope for small children to slip through, or to get their head stuck. This safety guard consists of a clear plastic sheet which can be tied to the bannister, and prevents children from getting through. It is easy to fit, and not too conspicuous. 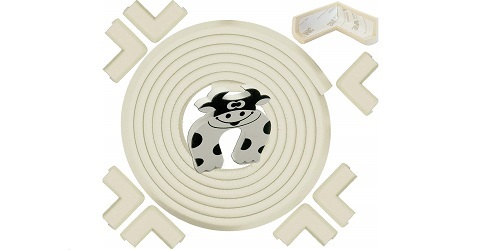 This consists of a length of high density foam strip and some adhesive tape which can be used to attach it to any dangerous hard edges around the home. The set also contains eight pre-cut corner pieces, and will in total cover 22 feet of edging. The material is guaranteed to be free of BPA and phthalates, and will protect children from the edges of any hard surfaces. 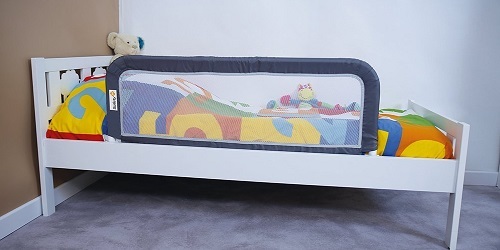 Young children can be restless at night, and, when they move from a cot to a bed, it is not unusual for them to fall out! This bed rail offers a solution. It consists of netting surrounded by a metal frame, which fits at the side of the bed to prevent any unscheduled departures. It fits best to beds with hard sides, and can be folded down for easy access. 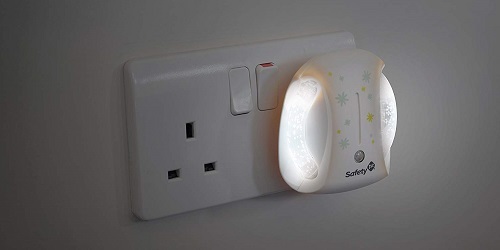 If your child prefers not to sleep in the dark, this night light can provide a gentle illumination to reassure them, without being so bright as to disturb sleep. The unit incorporates a sensor, so that it will switch on at dusk and off at dawn. Power consumption is minimal, at 0.5W, so running costs are low. The light simply plugs into a normal 3-pin socket. 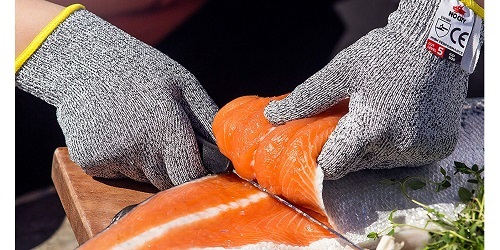 These flexible, lightweight gloves are designed to protect children’s hands, and enable effective gripping, whilst they perform cutting or chopping tasks that might otherwise have to wait until they are older. If, for example, your child is fascinated by watching you slice and chop vegetables, you can now let them join in. Just make sure they are wearing the gloves, and they will not be able to hurt themselves. If your room is draughty or breezy, doors can slam unexpectedly. Sometimes, another child can close a door without checking. Either way, your toddlers fingers could be at risk. These door stopper guards offer a simple solution. 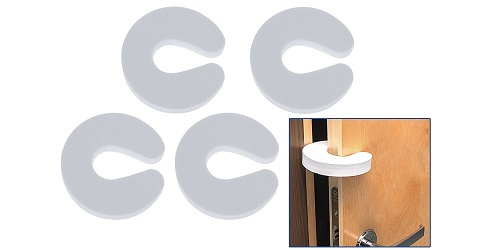 They are ‘C’ shaped pieces of foam which fit onto the edge of the door, out of reach of toddlers, and prevent it from fully closing. The gap ensures that fingers are safe. 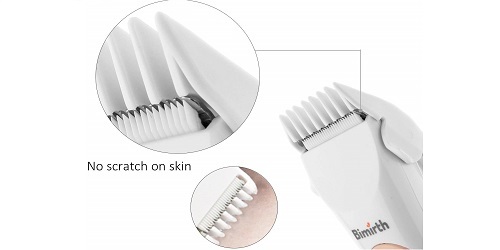 Many young children become upset by the loud noise made by adult hair clippers. These children’s clippers are designed to be extremely quiet in use. This, coupled with a child-friendly design, should make it much easier to persuade your child to allow you to cut their hair at home, saving a significant amount on hairdressers’ bills. The clippers come with three combs and all of the necessary accessories. Many parents’ worst nightmare is losing control of their child in a busy street, just a few steps away from heavy traffic. This safety leash should make this impossible. Parent and child each have a bracelet, fastened with Velcro, and joined with a plastic-wrapped coiled wire cable, which can extend up to six feet to allow some freedom. The child can roam, but only so far, and should, therefore, stay safe. 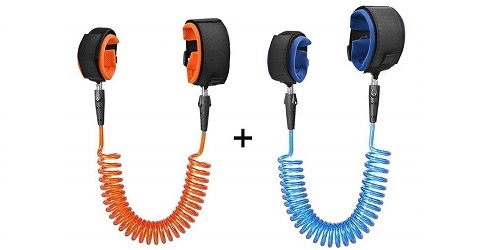 If, after reading this list, you are convinced that you want most of these protective devices for your home, this Home Safety Kit contains many of them in a single convenient pack: and, speaking of convenience, it even contains a toilet lock! 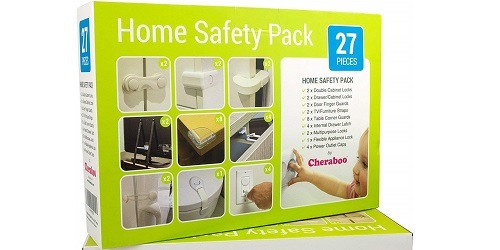 Packs like this can be useful as a starting point, as they contain most of what you might typically need for cupboards, doors, and edge protection. This is a wooden box with no lid, with a removable plate within it that can be fixed at various heights. The child is lifted into the box and stands on the footplate. They are raised to an appropriate height to enable them to join in activities on the kitchen work surfaces, without being in danger of falling down. This is much safer than letting them stand on a chair. The best 20 child safety products listed here were handpicked by the independent team here at Gifted Geek. Whether you’re looking for a product for your family or a gift for a friend or relative with a young family, we hope you found a great product.